A bold wordmark, character-led illustrations and fun and engaging copy ensured a successful relaunch for this small-batch cordial brand. 20-40% of produce intended for supermarkets is thrown away before it reaches the shelves because it doesn’t meet cosmetic standards. And that means millions of tonnes of food are wasted in the UK each year. 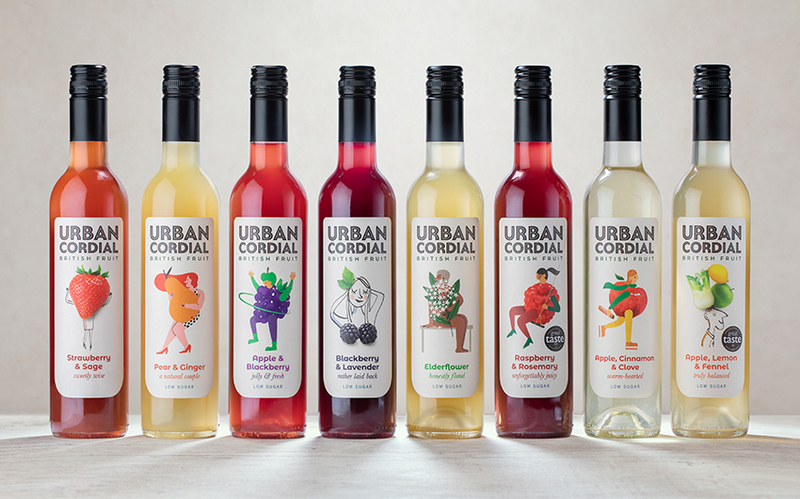 Urban Cordial is committed to fighting food waste by only using locally sourced lumpy and bumpy seasonal British fruits in all their delicious, carefully crafted cordials. This ethical approach is one we support. 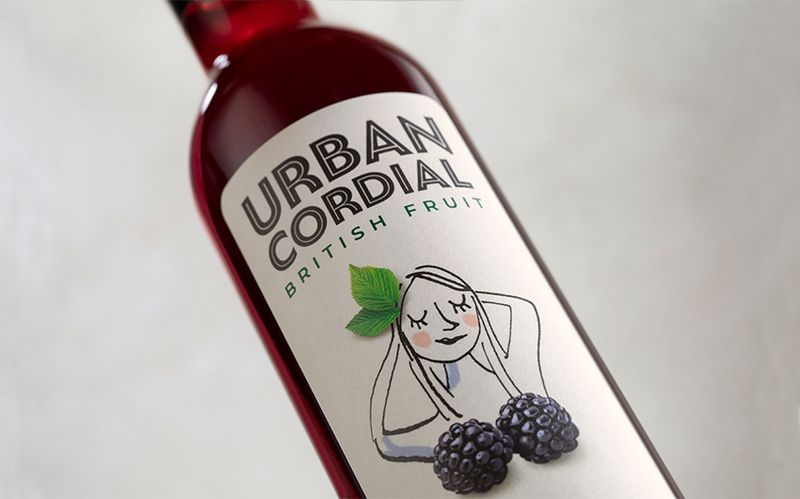 So we embraced the opportunity to work with Urban Cordial to relaunch the brand and create everything from the brand identity to illustrations and packaging. In partnership with Web Harmonics, we also designed and built a new ecommerce website. 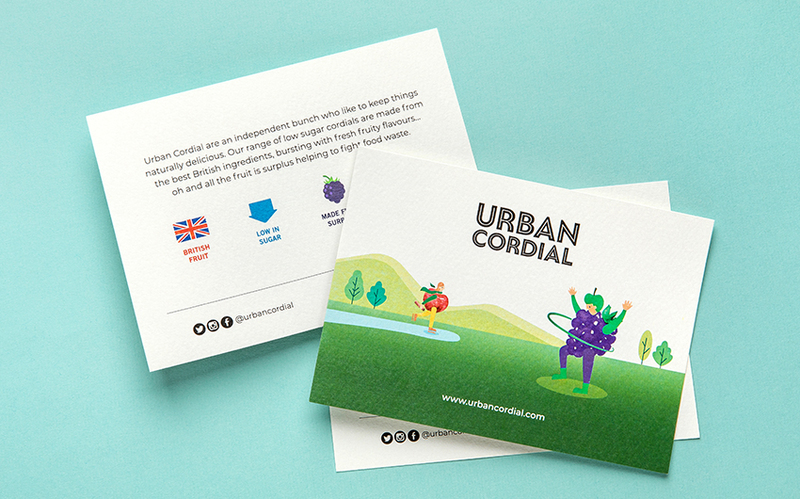 Urban Cordial was born in London and the new brand identity draws on the diversity and vibrancy of urban Britain. We created a range of characters with distinct personalities, each linked to different cordial flavours. 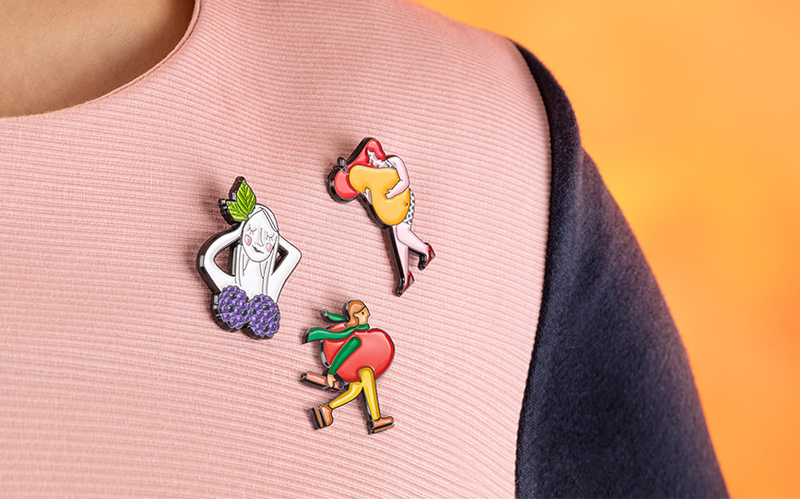 And the engaging illustrations, together with the playful language used, helps bring the brand’s unique personality to life. This introduction of a variety of artistic voices creates a world that’s dynamic, as well as distinctive. 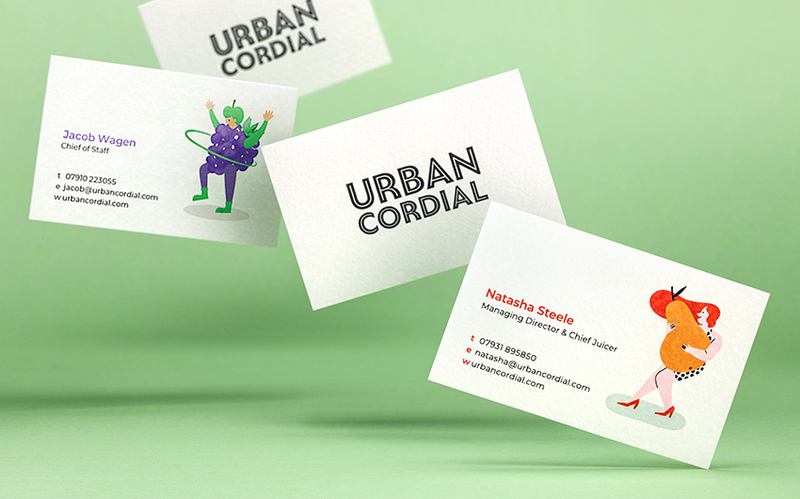 But it’s unified, so each design is instantly recognisable as being from the Urban Cordial family. And the new wordmark reflects Urban Cordial’s bold ambitions, as well as delivering shelf standout. “We are thoroughly delighted with the new look for our brand. It embodies so much of what’s important to the Urban Cordial team: a devotion to craft, a love of creative expressions, and an obsession with quality. 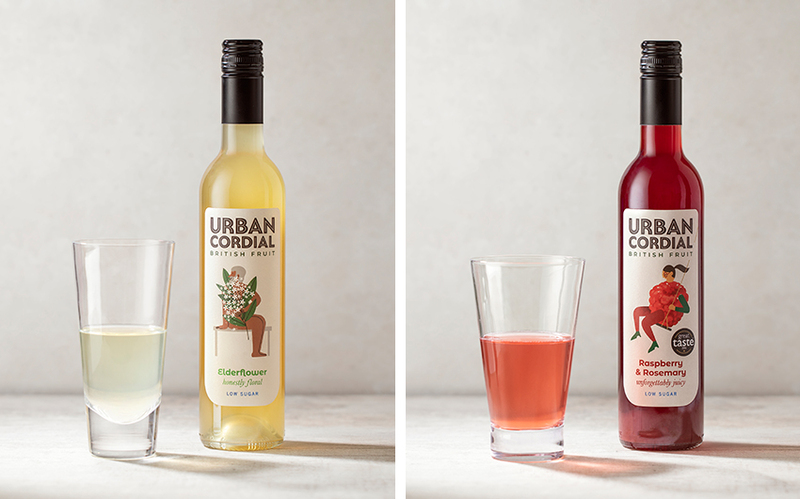 Jackdaw Design has helped us create something that is full of life and we know it will make a huge splash in the cordial market!” Natasha Steele, Managing Director, Urban Cordial. 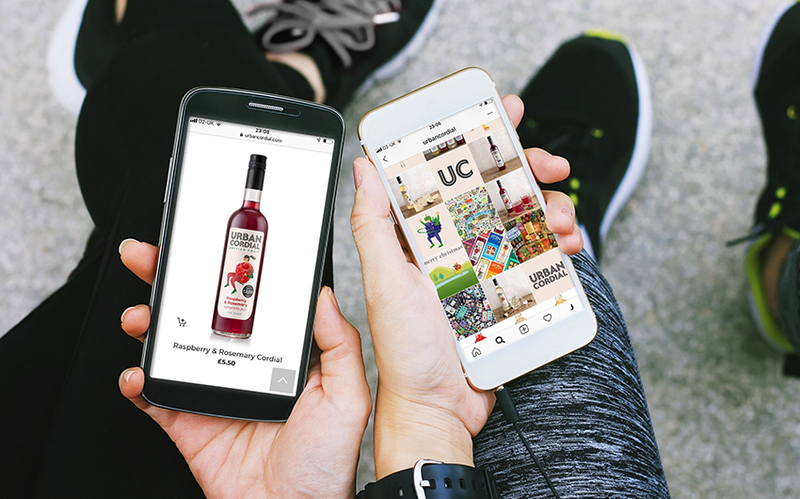 Following Urban Cordial’s relaunch, social media swiftly voiced plenty of love for the brand, which is now available in even more stockists across the UK.